Logitech Harmony remotes can be really, really expensive. In fact, they can cost up to $350! That’s a whole lot of money to spend on a remote control, but you don’t need to spending anywhere near that much if you don’t need bells and whistles like a touchscreen and a fancy dock. 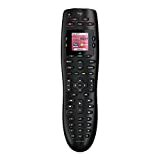 Check out the Logitech Harmony 665 10-Device Universal Remote on Amazon. It retails for $120 and it’s packed with great features, but if you pick up a refurb while they’re still in stock you’ll only pay $35!